Mugs! Cosmetic bags! Makeup! Skincare! Hand creams and bubble bath and, yeah, some t-shirts and stuff too, but the latter is pretty average, if you ask me. 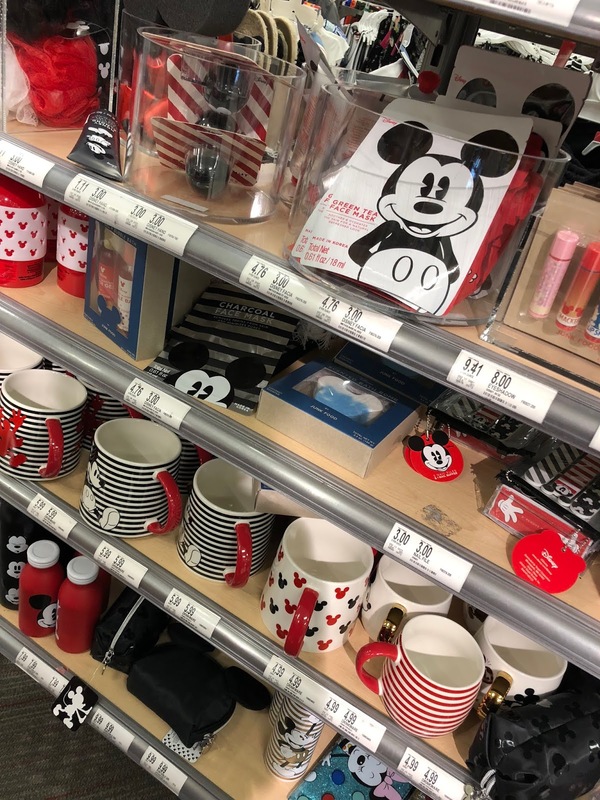 Standard Mickey Mouse prints. I was immediately drawn to the skincare and makeup, with this romantic notion: how adorably apropos would it be to come back to your WDW resort hotel after a long day in the parks, slap on a Mickey sheet mask, and chill? With that happy vision dancing before me, I snapped up one of each of the offered masks at $3 a pop (which is to say I purchased these myself for review). Should you do the same? LET'S FIND OUT. The sheet masks are manufactured in Korea, where skincare is king, so that's a good sign. The options are hydrating with hyaluronic acid, calming with green tea, and detoxifying with charcoal. Each mask can be left on for 20-30 minutes, with strict instructions to not go over that time. Let's start with the most disappointing item: these masks do not make you look like Mickey Mouse. No hilariously weird, Insta-worthy prints here. 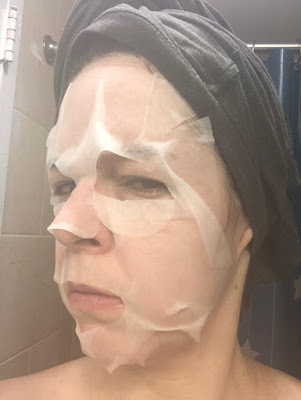 Just a standard sheet mask. Not gonna lie; I was a little disappointed. Once on, the mask offers a very standard experience, with no tingling or irritation. Upon removal, I noticed no particular redness. My face had the slick sheen of moisture on it, but I don't know if my skin was particularly calmed. 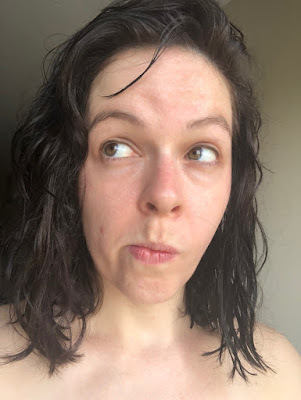 My Cheek Zit(tm) wasn't noticeably less red - but then I guess it wasn't any worse either. Overall an underwhelming but perfectly serviceable experience. A couple days later I took a shot at the charcoal mask. I will not be featuring a picture of this because the mask is black, and, well, it's darned hard to take a picture of without looking like you're trying to channel an unflattering caricature, ya feel me? It looked exactly the same as the green tea one, only black. And this one I did NOT like. It wasn't as saturated as the green tea version, and edges kept peeling off, especially around my forehead. I ripped it off as soon as the 20 minute mark hit because constantly smoothing it back was driving me nuts. The ultimate result was no different than with the green tea mask, only less moisturizing. Do not recommend. I haven't tried the hyaluronic acid version but I'd imagine the experience is extremely similar to that of the green tea. If, when I use it, I find I have strong opinions after all, I'll definitely keep you updated! 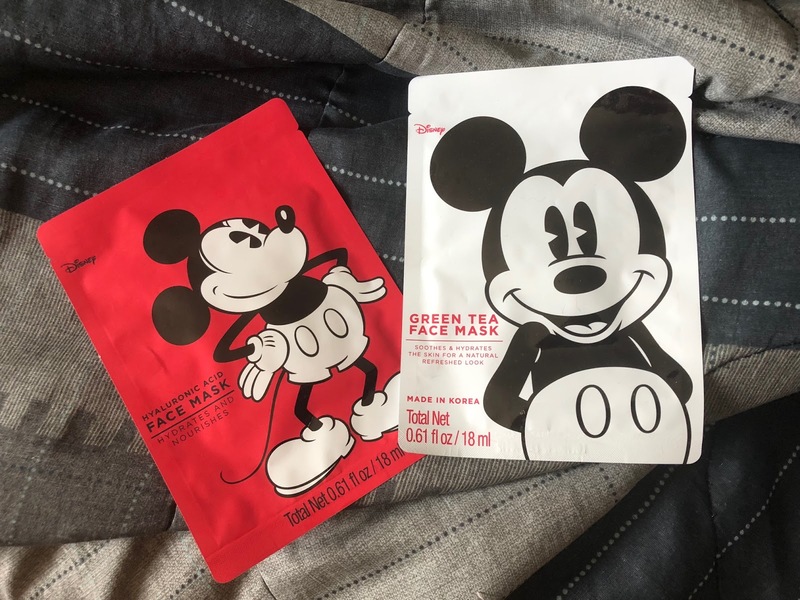 Ultimately I still think it's fun to have a few of the green tea masks on hand for Disney trips. 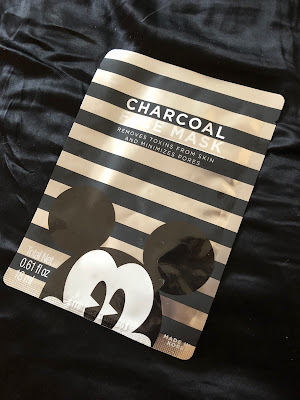 But if you already have a go-to mask and aren't charmed by the Mickey packaging, you can probably skip these. Either way, find 'em here.